The objective of this lecture is to debate about certain Metabolic Bone Disorders. Section one lays stress on the Assessment. 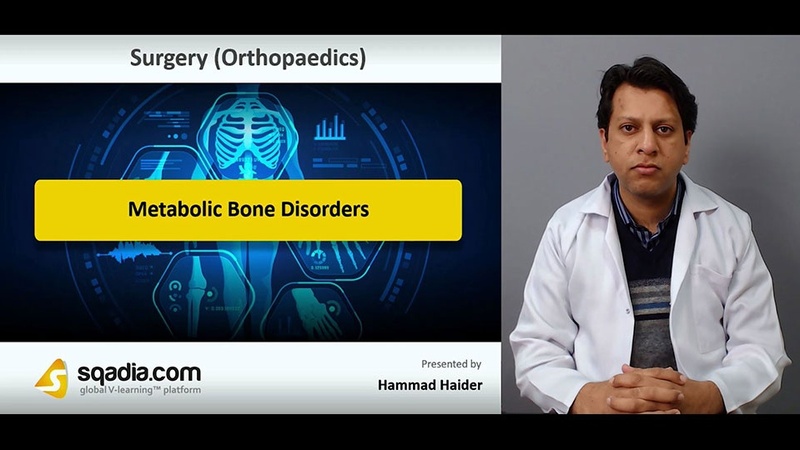 In the beginning, the educator has shed light on the Appearance of Patients with Metabolic Bone Disorder. Following this, History and General History has been communicated. Furthermore, Examination, X-rays and Measurement of Bone Mass has been brought into argument. In addition to this, the educator has stated Dual Energy X-ray Absorptiometry and Qualitative Computed Tomography. Along with this, Calcaneal Ultrasound (US), Indications for Bone Densitometry and some Biochemical Tests have been presented as well. In the end, the educator concluded by mentioning about the Bone Biopsy. The key focus of section two is on Osteoporosis. The educator started off by defining the term Osteoporosis. 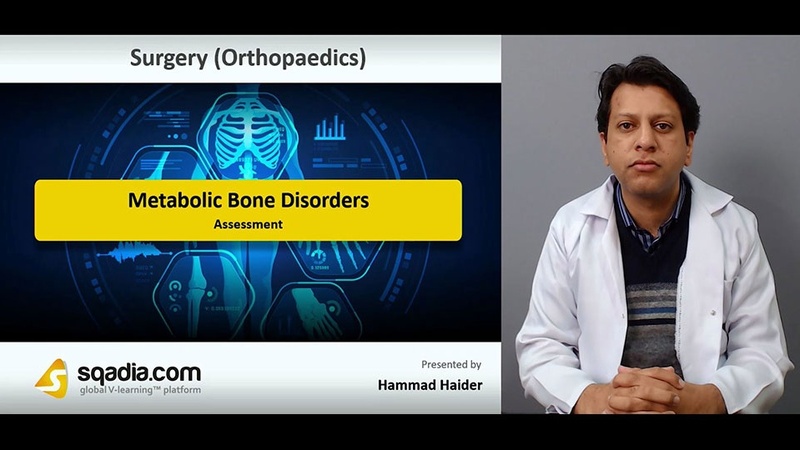 Next in line, the educator has delineated its Aetiology, Bone Mass and Bone Strength and has highlighted certain Risk Factors for Osteoporosis. Moreover, X-rays, Postmenopausal Osteoporosis along with Clinical Features and Investigations has been recounted as well. Alongside this, Treatment and Osteoporosis in Men has been conversed about. Secondary Osteoporosis and Secondary Causes of Osteoporosis have been brought into consideration. In the end, the educator has winded up by divulging about a term called Glucocorticoid Induced Osteoporosis, expansively. Section three accentuates the Chronic Kidney Disease Mineral Bone Disorder. 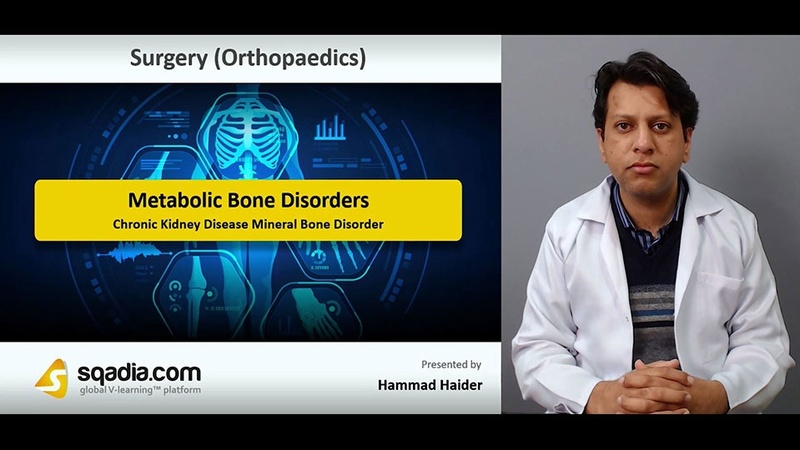 Initially, the educator has illustrated about the Chronic Kidney Disease Mineral Bone Disorder in conjunction to its Pathology and some Pathological Abnormalities. Moving forward, the educator has conveyed about the Clinical Features of this malady. In the end, the educator has wrapped up by alluding to X-rays and Treatment. Section four accommodates two other ailments termed as Rickets and Osteomalacia. To begin with, the educator has elucidated these two conditions Rickets and Osteomalacia. Later on, their Pathology and Clinical Features have been explicated as well. Besides this, X-rays and Bone Biopsy has been brought into deliberation. In the end, the educator has winded up by highlighting the Treatment aspect. The focal point of section five is Paget’s Disease of Bone. First and foremost, Paget’s Disease of Bone has been defined. Accompanying this, its Pathology and Clinical Features have been communicated. Additionally, X-rays, Biochemical Investigations together with certain Complications have been contemplated. Ultimately, the educator has underlined the Treatment and Surgery.